Nairobi National Park is a national park in Kenya. 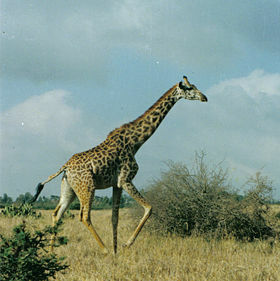 Established in 1946, the national park was Kenya's first. It is located approximately 7 kilometres (4 mi) south of the centre of Nairobi, Kenya's capital city,with an electric fence separating the park's wildlife from the metropolis. Nairobi's skyscrapers can be seen from the park. The proximity of urban and natural environments has caused conflicts between the animals and local people and threatens animals' migration routes. This article uses material from the Wikipedia article "Nairobi National Park", which is released under the Creative Commons Attribution-Share-Alike 3.0 License.